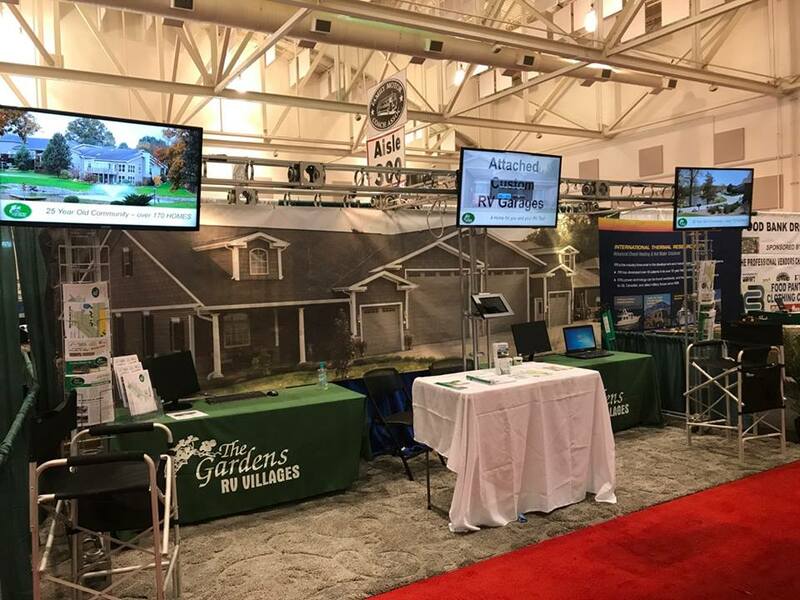 RVers visiting the Florida RV Supershow in Tampa, which begins January 16, 2019, will have a chance to meet the Gardens RV Village’s next generation. One-and-a-half-year-old Emma Wilson joins the rest of the Gardens team who are hosting booth B126-127 to promote visitors to come see the country’s fastest-growing RV housing community. Emma’s great grandfather, Jim Wilson, came up with the concept of developing a neighborhood exclusively for RVers in the early ‘80s. And now the fourth generation of Wilsons is being represented by Miss Emma. Today, The Gardens has more than 200 luxury homes, each attached to RV garages and spread over a gently rolling landscape located on the Cumberland Plateau in Tennessee. Given the outgoing personality of the typical RVer, the residents have knitted together a warm and close relationship-based community. On more than one occasion, a Gardens resident has commented on how conducive to friendship it is when all your neighbors share a common interest iOne-and-a-half-year-old Emma Wilson joins the rest of the Gardens team who are hosting booth B126-127 to promote visitors to come to see the country’s fastest-growing RV housing community. n RVing. After Jim Wilson passed away in 2002, his son Tim assumed control and markets the community to RVers throughout the U.S. Following in his dad’s footsteps, Matthew and his wife Abi are part of the senior staff at The Gardens and are positioned to one day assume the reigns. If all goes according to plan, their daughter Emma may well step into the leadership role herself to become the fourth generation Wilson to direct the future development of the project. At the present time, her job is not too challenging, though. She won’t need to spend many hours at the booth, after all. Her job will be to keep the rest of the team entertained. This year the Wilsons and Twiggs are joined by Gretchen and John Koshko and Bunny and Russ Pratzner, all of whom attended last year and can personally attest to what living in The Gardens has meant to them. Gardens Realty, LLC Principal Broker: James “Tim” T. Wilson 18 Our Way Drive Crossville, TN 38555 Office: 931-456-7794 Fax: 931-456-7809 License# 00259765 info@gardensrealtyllc.com.